LEGENDARY LIT JOURNAL BACK IN PRINT!!! 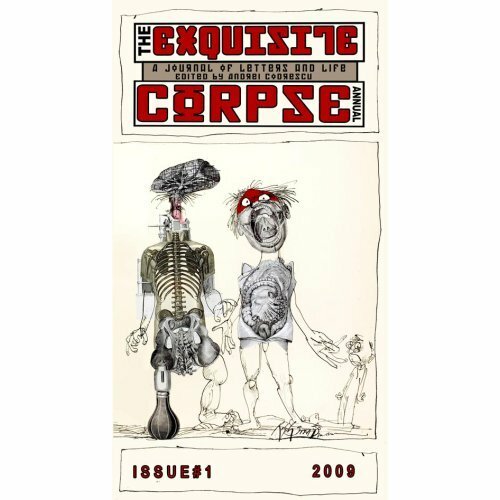 ADVANCE COPIES OF EXQUISITE CORPSE ANNUAL #1 ON SALE NOW! Ed in Chief Andrei Codrescu presents artwork by Ralph Steadman, Joel Lipman; poetry by Diane di Prima, Bill Berkson, Alice Notley, Mike Topp, Jim Gustafson, Ruxandra Cesereanu; prose by Jerome Rothenberg, Willie Smith, Aram Saroyan, Lance Olsen, Davis Schneiderman; and more more more! So get your historic freak on! Rex Rose, Design Ed. Terry Wright, Associate Ed.